After the morning training session on a chilly morning in Chloorkop, Tau was surrounded my cameras as he was given the keys to his new vehicle. He was all smiles when he got in and drove off with his hot new wheels. Hyundai, who are sponsors of Sundowns, will work hand-in-hand with the Percy Tau Legacy, a foundation established by the 23-year-old, to help kids all over the country to go to school and get involved in sports. Club spokesperson Thulani Thuswa said: “There’s a partnership with the Percy Tau Legacy. It will be focusing on kids, like getting them to get to school and assisting in terms of football. The Percy Tau Legacy is a foundation and this comes from his love for kids. “He wants to take them to school and get them more involved in sports. He won't just be focusing on kids from Witbank, where he comes from, but he wants to change the lives of kids all over the country. He wants to do more. 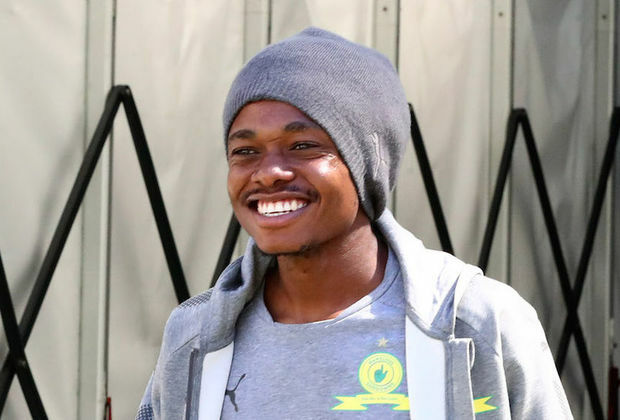 The Bafana Bafana player has arguably been Sundowns’ best player and will no doubt keep attracting big brands for years to come if he performs the way he has been this season. Get the latest Sundowns news sent to your phone!